PowerPoint Map slides collection consisting of several ready-to-use editable slides for Microsoft PowerPoint featuring different countries, continents, etc. 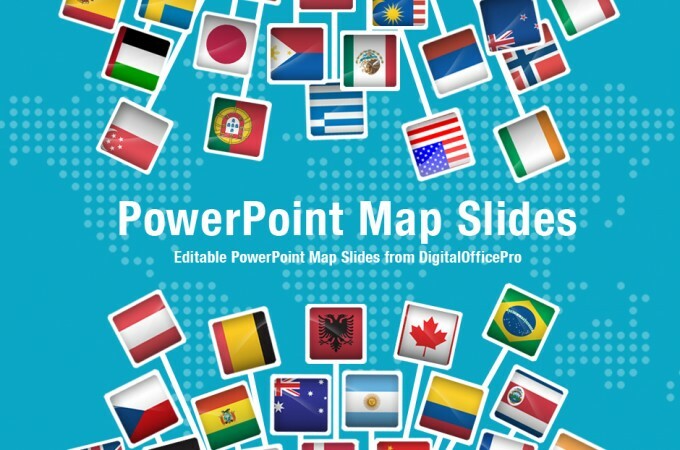 These map slides have been created with PowerPoint’s own drawing tools which makes it easy to resize or recolor the map using PowerPoint’s own tools. Also, you can add your own objects, effects, texts, etc.